There is at least one car in the Ford lineup that offers a selection and a choice that can mean nearly every need on the market. The Ford Fusion is a car that has a little something for everyone and is more than just a nicely equipped midsize sedan that you’ll want to experience on the roads in New Berlin, WI. This car is offered with a generous smattering of standard equipment to make sure you can have the qualities you want to start with but can range up to the luxury model in the Platinum trim. Whether you’re a bargain hunter, fuel miser, or a luxury lover, the Ford Fusion has something for you. This midsize sedan is one that allows you to hit the road with a smile on your face because you know the version of the car you chose is the one that gives you the driving excitement you need. Come in and see the team at Ewald’s Venus Ford in Cudahy, WI and let this become the right place for you to find the car you want to drive on the roads in New Berlin, WI. The Ford Fusion has been recently upgraded with a variety of appearance improvements, features, and technology to ensure you have the car you’re ready to drive. 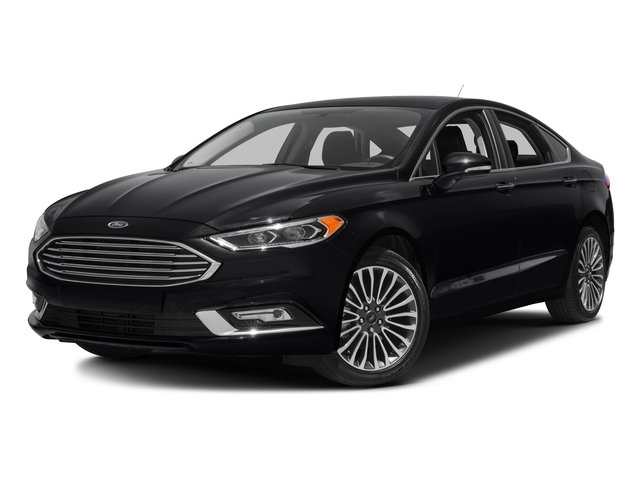 For the 2018 model year, this sedan remains virtually unchanged with the addition of the new Blue Metallic paint that can be chosen for every model of the Fusion. With that in mind, you’ll only need to choose the model that will be the one you want to have on the road so that you can enjoy the drive on a daily basis on the roads around New Berlin, WI when you’re ready to head out on the drive. The Plug-In Hybrid version of the Ford Fusion is one that offers you the distance you want for the driving range you need whether you have a long daily commute or just know you’re going to head out on a road trip that starts in New Berlin, WI. This version of the Fusion gives you 21 miles of EV driving, but once you reach that limit you’ll still have 610 miles of range from the gasoline engine to make this the car that you can drive and wave as you pass by the gas stations on your route. The Ford Fusion is a car that has a wide variety of items for you to choose so that you can have the drive quality you’re looking for on the roads in New Berlin, WI. Come in and take a look at what this car can be for you when you see the team at Ewald’s Venus Ford in Cudahy, WI today. This is where you’ll see a generous selection of Fusion models to choose from to make sure you can experience the driving you want in your area after you take one for a test drive today.